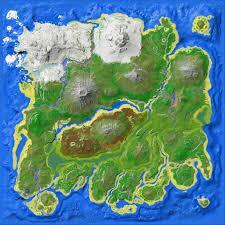 In this guide i will show you how to survive in the harsh Redwood biome for both the center and island. 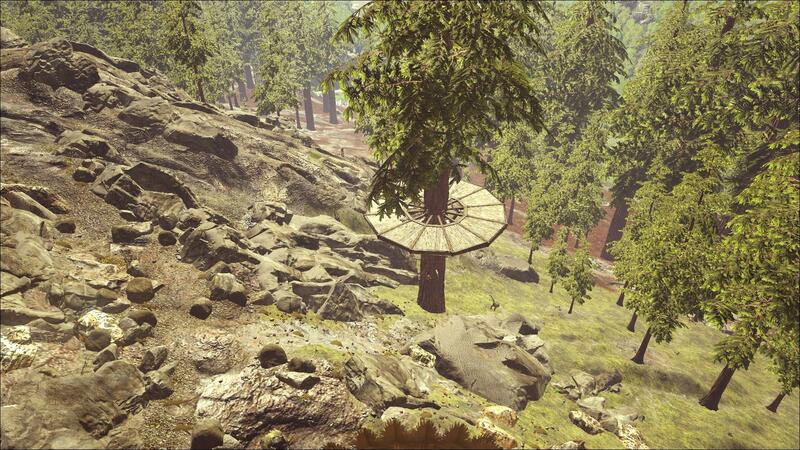 There will be kibble/tame trees, base locations (2 for each map) and basics for survival. 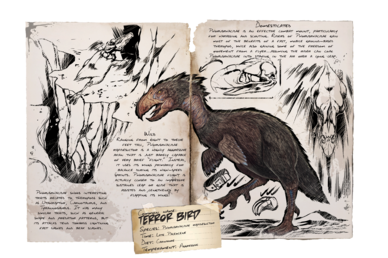 The Ichthyornis: Everything You Want to Know. Ascension: Everything You Want to Know. When you Get to the Redwoods you will want to start by taming a megaloceros (if you are on the island there are some dimorphodons to get some kibble for the megaloceros) to gather berries for the other tames. 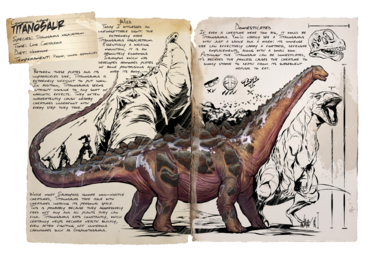 Now you will want to tame Lystros to make kibble for Diplodocus, to make kibble for a high level Allo. 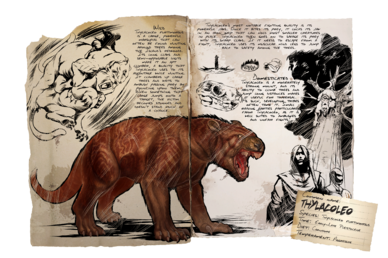 This will be your good tame to start going around killing the tough creatures. 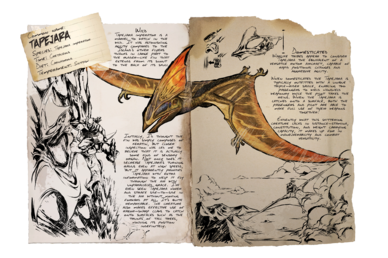 now with the eggs you get from the allos you can make kibble for a high level Tapejara and this will be your good flier. 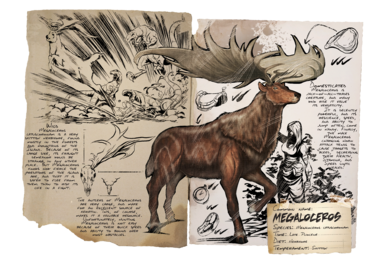 You will want to make a smithy and get metal production active as soon as you can, you can do this by taking trips on your stater tame the megaloceros and using its weight to carry more metal. once you have enough metal keep 200 ingots tucked away for the tree platform for the tree next to your base (do this after you get a flier) this will make your base a lot safer from ground predators. 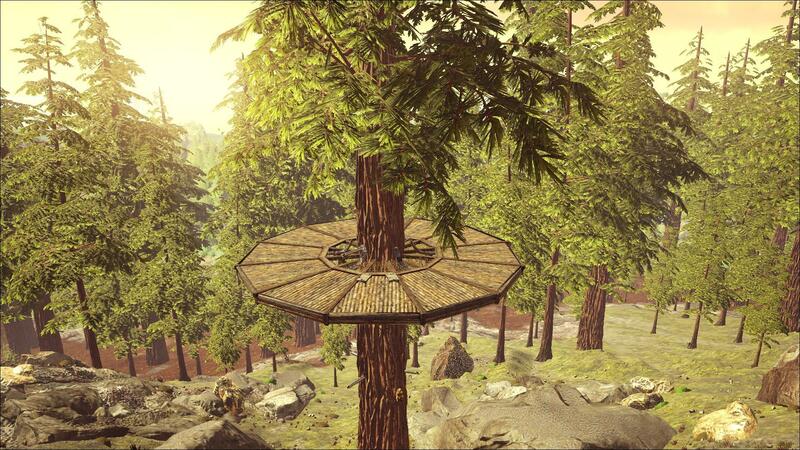 this is a my tree platform you can customize your platform to your liking. 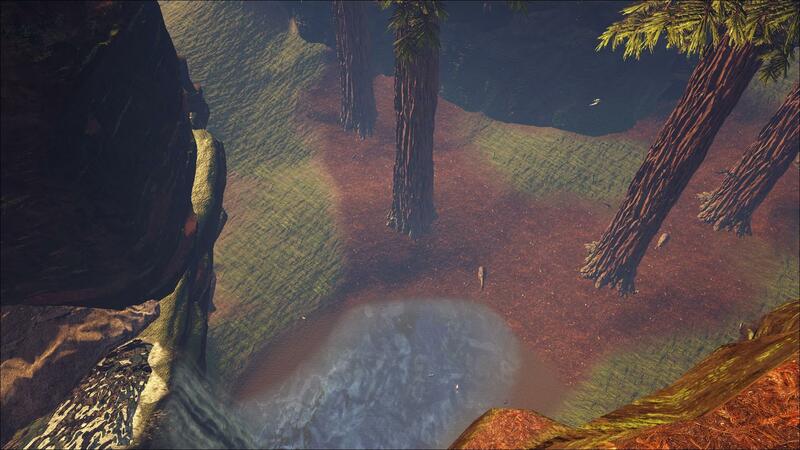 For the center for a start to get to the area you can either spawn in "Redwoods East" or "Redwoods West"
The creatures you encounter in this area are tough because they are mostly aggressive. Here is a list of the creatures with their rarites as well. 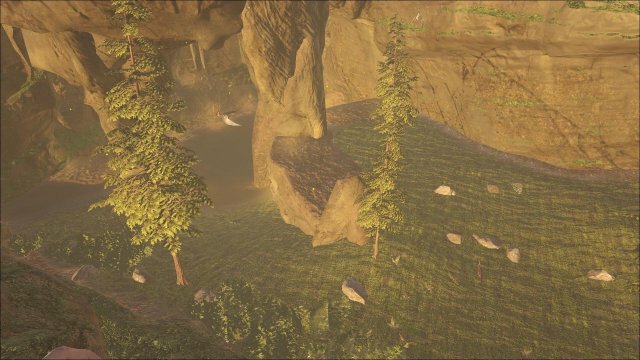 This area has beavers which allows for beaver dam resource colection, Large trees to build tree bases on, plenty of water to drink and to irrigate crops and also it has a large amount of flat land to build on if you can`t make tree platforms yet. The Second location is located at Lat 92 lon 36. 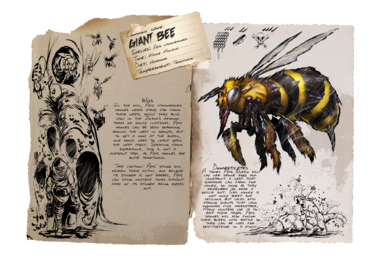 This area has very good resources in large amounts like Metal and Crystal in the caves that surround it,water and dung beetles to help with farms, and flat land to build on. Unfortunatley there are no large trees for Tree Platforms if you want to live at this spot. To get to the Redwoods on the island you have to spawn at one of the areas on the coast and head inland to reach the biome. The safest way to get here is by spawning at west coast 3 and then head inland avoiding the predators. 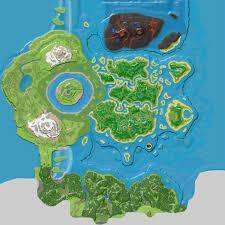 Sorry there are no coordinates for the island. 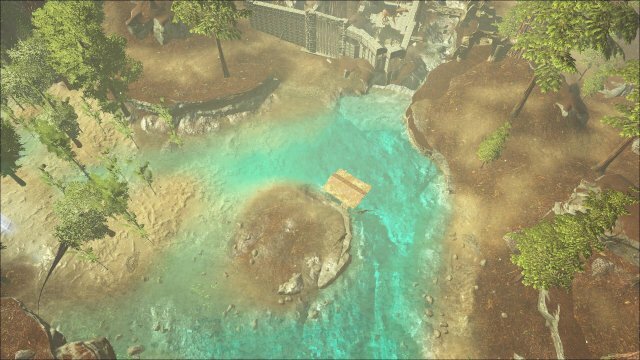 This is the first location it has a lake to get easy water, large trees for bases and a clear amount of land around it, other than that it does not have very many resources around it. This is the sceond location that i personally prefer as you can see i have built here on the large tree. 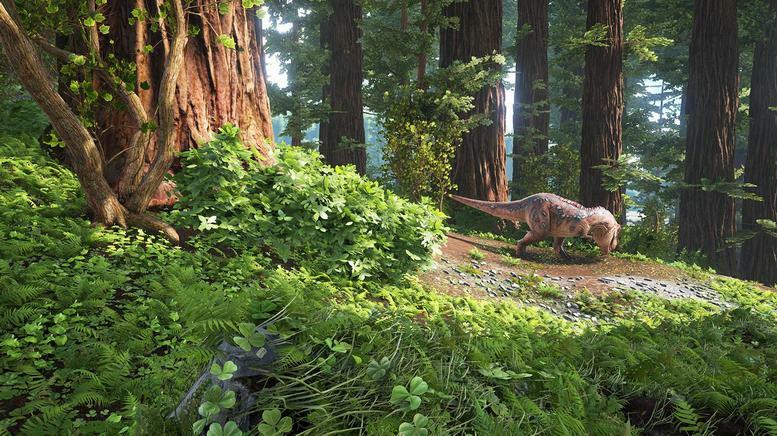 This location has metal, crystal and good tames like argys and rexes.